Beautiful Blue Skies and a 20cm base of snow on most of the trails. Fabulous views, rentals a warm Ski Room. 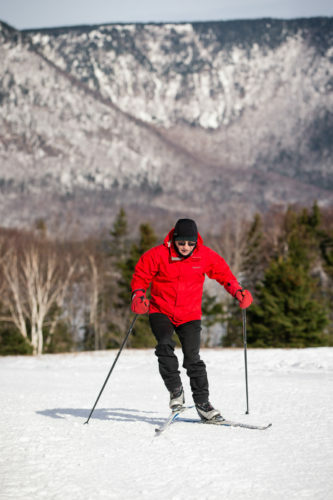 Bring your families and friends to enjoy the last day the Ski Room and Trails shall be open. Maurice is out grooming all the trails. They are all in excellent condition with 30 to 50 cm base remaining. Sun is shining. Temperature 7 degrees. Come and enjoy a great day at North Highlands Nordic. 5 km All Ages Snowshoe Loppet tomorrow at 1 pm. Trails in good shape with plenty of snow remaining. Forecast is for 5 degrees and partially sunny. No precipitation.